Many people had high hopes on the back of the smartwatch industry with even popular mechanical watchmakers jumping on board to test the waters. Customers interested in smartwatches have had multiple choices when it comes to which platform they went for. Pebble was one of the first, but then Google, Samsung, and even Apple stepped in and created what they felt was the best software for the form factor. Wear OS (formerly Android Wear) has seen better days, but Samsung is still holding strong with Tizen in the Gear S line and a couple of new rumors are helping us to paint a picture what the Gear S4 will offer. Firstly, we have a rumor from notable Weibo leaker, IceUniverse, who claims that the upcoming Samsung Gear S4 will have a larger battery than what we saw in the Samsung Gear S3. Now, these batteries are tiny when compared to smartphones, but we should still be able to estimate how much longer the new device will last. For reference, the Gear S3 had a battery capacity of 380 mAh, while the rumor suggests the Gear S4 will come with a 470 mAh battery. Battery life was already one of Samsung’s strengths in the smartwatch market, so this should help extend things even further. The next tidbit of information about the Gear S4 from Samsung is about the color options that will be made available. Previous rumors have said the Gear S4 will be released in two different models (just like we saw with the Gear S3 Classic and the Gear S3 Frontier), but now we have learned that the new smartwatch will have three different colors to choose from. We’re used to the Black and Silver options which have been carried over from the Gear S3 line, but we could also see a new Gold color option available for the Gear S4. 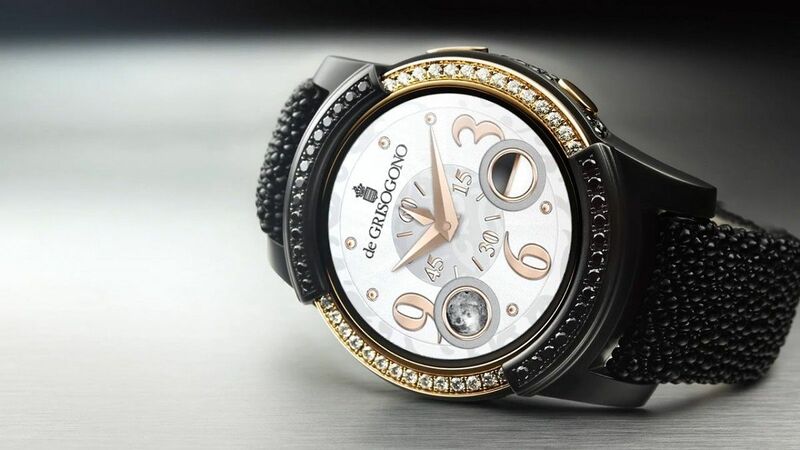 The company is expected to release the Gear S4 during Q4 of this year. It’s too early for an exact date to be set in stone.